Richard Broinowski, LlB (Adel) Master Public Admin (Harvard) is an Adjunct Professor in the Department of Media and Communications. His professional career included thirty four years in the Commonwealth Public Service, and three years in the ABC. 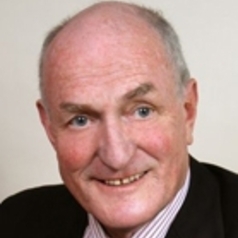 After being admitted to the South Australian Supreme Court Bar as a barrister and solicitor, Richard entered the Department of External Affairs as a junior diplomat in 1963. His earlier postings include Third Secretary to Tokyo (1965-68), First Secretary to Rangoon (1970-71), First Secretary to Tehran (1973-74), and Councellor and Deputy Head of Mission to Manila (1975-77). After spending a year as a mid-career graduate student at Harvard in 1977 and 1978, Richard was appointed by the newly-elected Hawke government as Australia’s Ambassador to the Socialist Republic of Vietnam in 1983, where he served in Hanoi for two years. Following that, he was appointed Ambassador to the Republic of (South) Korea from 1987 to1989, a posting which covered the 1988 Seoul Olympics. He took a break from diplomacy in 1990 to join the ABC as General Manager of Radio Australia in Melbourne, and returned to the Department of Foreign Affairs and Trade in 1993. He was appointed as Ambassador to Mexico, the Central American Republics and Cuba in early 1995 and served there until mid-1997. On retirement in 1997, Richard was invited to become an Adjunct Professor in Media Studies at the University of Canberra. It was at UC that he began a program to send the best and brightest senior students in journalism to work as interns in English-language newspapers in Asia. In December 2001 Richard and his wife Alison moved from Canberra to Sydney, where he was invited to be an Adjunct Professor in the Department of Media and Communications at the University of Sydney, an appointment he still holds. At Sydney, Richard continued and extended his overseas internship program, which now had participants from the University of Western Sydney and RMIT in Melbourne, as well as the University of Sydney. By 2009, sixty six aspiring Australian journalists had participated in the scheme. It draws its funding from the Myer Foundation in Melbourne and the Australia Korea Foundation in Canberra. Richard has written and published three books – A Witness to History: the life and times of Robert Broinowski (MUP 2001), Fact or Fission – the truth about Australia’s nuclear ambitions (Scribe 2003, and Driven – a diplomat's auto biography (ABC/HarperCollins 2009). He has also published numerous articles on foreign affairs for many Australian periodicals and newspapers, and is a regular commentator on current affairs for SBS, ABC and Al Jazeera Television International.